Offered for Sale this beautifully presented 2 bedrooms apartment, with a surface of 114sqm, situated near the former train station and in front of maternity hospital. The apartment is a new construction, based on the fifth floor with elevator, is located very close to all amenities and it comprises of two bedrooms, a large living room, separated kitchen with all needed equipment, two bathrooms with shower system inside bath and fully tiled floor and walls, laundry room as well as a balcony. 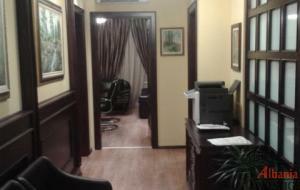 In the third floor of this new building is currently available and offers for Sale 141sqm furnished office space (is currently notary studio) with very high quality fittings, with wooden floor and with excellent access to transport links. The property is located close at Dynamo Stadium just a few minutes’ walk from the center, oriented to the South -East and contains of: an impressive entrance hall, meeting rooms, kitchen and two bathrooms. Offered for Sale three bedrooms apartment, with a surface of 157sqm, based on the five floor of a new building, located in “ Robert Shvarc” Street, Sunny Hill, here in Tirana. 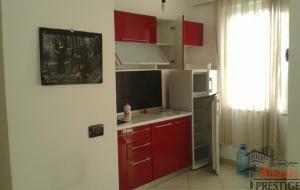 The Apartment is a new construction with elevator and comprises of three bedrooms, living room where kitchen with all needed equipment are included, attached the eating area with the table and 6 chairs, two bathrooms with fully tiled floor and walls, Bath tub and Shower as well as wall mirror with light and 2 balconies. 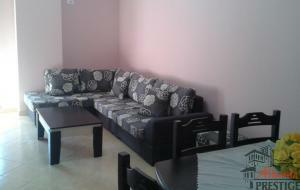 Very nice apartment offered for Sale, with surface of 102m2 +12m2 a balcony, located in “Jordan Misja” Street. The apartment is based on the 8-floor of a new building with elevator and consists of a large living room where kitchen with all appliances are placed attached eating area with dining table and chairs , 2 bathrooms where one of them is with bath and the other with shower, a small room and completed making this room perfect as laundry, as well as a balcony with a surface of 12m2 offering a great natural view. 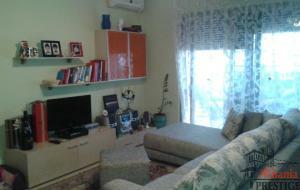 Offered for Sale two bedrooms apartment, with a surface of 92sqm, located at “ Aleksandri i madh” Street, near the new ring road. The apartment is a new construction, is quite regular with all relevant documents, based on the 8-th floor with elevator and consists of two bedrooms, living room where kitchen with all needed equipments are included as well as a eating area, one bathroom with overhead shower and a balcony. The area is rich in bars, restaurants, pharmacies /banks; nearby there are also various kinds of shops and shopping centers. 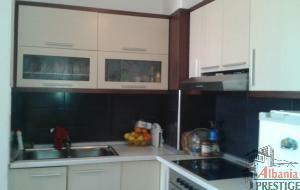 Offered for Sale two bedrooms apartment, with a surface of 98sqm, located at“ Aleksandri i madh” Street, near the new ring road. 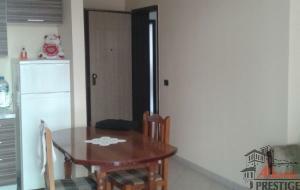 The apartment is a new construction, is quite regular with all relevant documents, based on the 7th floor with elevator and consists of two bedrooms, living room where kitchen with all needed equipments are included as well as a eating area with table and 6 chairs, two bathrooms with overhead shower and a balcony. The area is rich in bars, restaurants, pharmacies /banks; nearby there are also various kinds of shops and shopping centers. 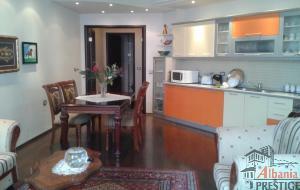 We are delighted to offer for Sale one bedroom apartment, with a surface of 56sqm, located at "Aleksandri i madh"Street,near the new ring road. The apartment is a new construction,is quite regular with all relevant documents, based on the 7-th floor with elevator and consists of one bedroom, living room where kitchen is placed as well as eating area, one bathroom with bath and a balcony. The area is rich in bars, restaurants, pharmacies /banks; nearby there are also various kinds of shops and shopping centers. 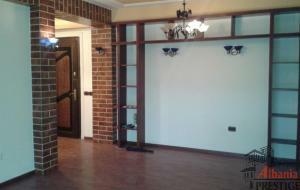 Offered for Sale a fantastic two bedrooms apartment, situated at Kavaja Street, construction of year 2008. The property is based on the fifth floor, with elevator and comprises of two bedrooms, living room where eating area is including with dining table and six chairs, one bathroom with shower and window as well as a balcony offering a great nature view.